Four Seasons Hotels are known as being some of the most luxurious hotels in the World. 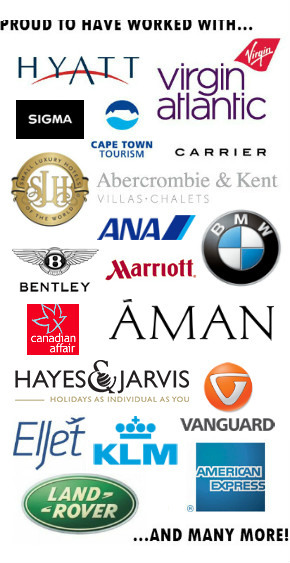 The company itself owns 104 luxurious hotels that are spread across the continents of the World. In this article I am going to outline the 5 best and most lavish resorts this group has to offer. This beach front hotel situated on the beautiful island of Maui, is not only home to the largest guest bedrooms and bathrooms on the island, but also to three of Maui’s top rated restaurants. The hotel itself is perfect for couples and families, with three salt water pools, one of which is for the exclusive use of adults only. Activities such as scuba diving and canoeing take place throughout the day, but are carefully planned to avoid the disruption of guests who don’t wish to take part. In the unlikely event of bad weather, the hotel also offers 3 luxury boutique shops and an indoor spa so you will never end up having to spend a whole day in your room! The rooms available include, mountain, garden and sea view guest rooms, as well as small, large and residential suites all of which are exquisitely designed with a Hawaiian Modern theme. This resort is perfect for anyone looking for a relaxing getaway, where their every need will be met. This sophisticated hotel is perfect for anyone looking to visit North Americas largest ski resort in style and comfort. Featuring an outdoor freeform heated pool, as well as 3 whirl-pools, a eucalyptus steam room and a number of glacier rain showers, this hotel allows you to end a day of adventure in a luxurious, and somewhat cosy style. The accommodation itself consists of a number of different guest rooms and suites, all of which are authentically decorated with cosy log cabin style furnishings. The hotel features a fire lit steakhouse which serves regionally sourced meat, as well as fish from a number of different local mountain lakes. You can even find seasonal treats available at the poolside, and s’mores and hot chocolate are served around the hotels fire pit. Perfect for any golf enthusiast, this luxurious tropical sanctuary, located on the East coat of the island of Mauritius, is home to an Ernie Els designed seafront golf course. This par 27 championship course consists of 18 holes and is the first of its kind on the island. The hotel itself has 4 luxurious swimming pools, one of which is for the exclusive use of children, and also has a spa which features 12 treatment rooms, an Aqua Vichy Spa Suite, as well as a number of steam rooms and saunas. The hotels accommodation includes a large number of different guest room villas as well as multiple two to five bedroom residence villas. These are decorated in soft natural colours with tropical furnishings and contemporary wood and stone accents. The hotel includes 4 exquisite restaurants and one lounge, as well as the option of having foods such as sushi served to you at your pool side sun lounger. Located only a 20 minute walk away from the Eiffel Tower, this hotel is perfectly situated in close proximity to the cities most famous landmarks, whilst being far enough out of the centre to avoid the noisy crowds. This 8 story hotel consisting of 244 rooms, made up of guest rooms and suites, is decorated in a way that makes guests feel as though they are walking through a French stately home. The hotel features 2 decadent restaurants, one serving french cuisine and the other serving meditranian style cuisine, as well as large art collection, a swimming pool and whirl-pool, and multiple saunas and steam rooms. The guest rooms and suites are all decorated in a typically Parisian style, some being more traditional, and some taking on a more modern twist, but all feature subtle architectural details. Many rooms even have private terraces that allow you to enjoy the views of some of Paris’ most famous landmarks. This tranquil and mesmerising hotel is possibly Four Seasons most famous and well-known resort. Located on the island of Bora Bora – voted the ‘best island in the world’ by U.S. News, this resort provides high end luxury accommodation and incredible facilities. Guests receive their own private bungalow suite that sits on stilts over Bora Bora’s beautiful turquoise lagoon, or their own one, two or three bedroom beachfront villa estate. All the rooms are decorated in a contemporary yet authentic style and provide luxurious comfort. The hotel has one swimming pool as well as an exclusive spa offering massages, body and facial treatments and even treatments that are ‘Just for Teens’. The resort offers 4 restaurants serving everything from Polynesian delicacies to Mediterranean style meat and fish, so there is something to meet everyones wishes. Surrounding the resort are gorgeous white sandy beaches and tropical plants that all add to the luxurious feel of this one-of-a-kind holiday destination. Four Seasons George V has lot of competitors in Paris, it’s more and more difficult but they keep ranking #1 in this magical city. Congratulations! By the way, in this list, I have to mention Four Seasons Seychelles which is just amazing with gorgeous sea views!! Four Seasons Tented Camp Golden Triangle and Four Seasons Resort Chiang Mai should definitely be in this list. Other than that, I think some of the Four Seasons in cities (Gresham Palace) are more interesting than a lot of their resorts. I have no idea what the FS Maui is doing on this list. It’s not even the best FS in Hawaii. In fact, I put it fourth of just the FS properties *in the state*, behind Hualalai, which should be here instead as it is much better. I also don’t know how the FS Florence fails to make this list. Especially over Whistler. I’d definitely agree with all of those but I’d also include the Four Seasons in Chiang Mai – stunning setting and an amazing hotel! One of my best friends stayed at the Four Seasons Hualalai, Hawaii, for her honeymoon. From her description, I imagine it would be hard to beat. True aloha spirit!